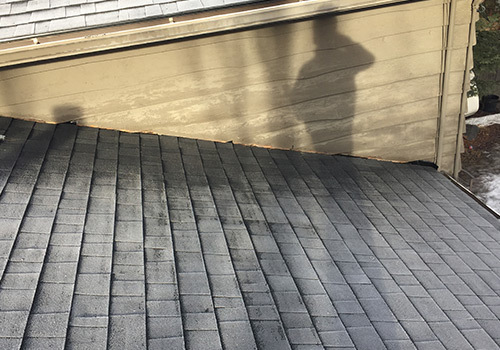 Whether your roof has suffered wind damage, hail damage, ice damming, or leaks, let Epic Roofing & Exteriors inspect and determine the best solution for repairs. It’s also important that you have a Calgary roofing company that can complete your roof repairs, so your property is protected, and you feel confident there will not be additional problems. 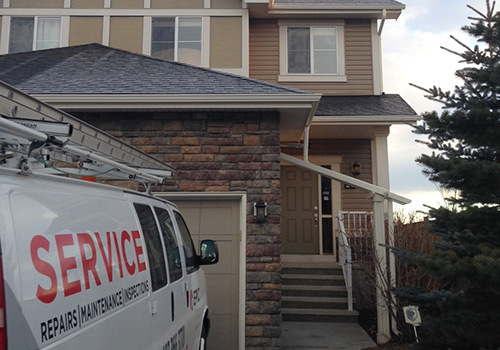 We are seasoned professionals when it comes to Calgary roof repair and exterior problems. With our 24-hour emergency service, we can dispatch our staff to perform emergency patch and waterproofing to prevent any further damage. We can service any type of eavestrough, fascia installation, siding, and cladding. At Epic Roofing & Exteriors, we have a long standing reputation for exception quality work. We have more happy & satisfied customers than any roofing company in Southern Alberta! Roof leaks can be caused by many different things. Storm damage from wind and hail, tree damage from falling limbs, damage by people walking on your roof, old worn out shingles, cracked and sun damaged shingles. A small leak gets bigger over time, and as water travels, it can be driven inside by wind and rain. A small leak can cause considerable damage to a home if it is not repaired immediately. Intrusion of moisture into your attic can destroy attic insulation and cause dangerous mold and mildew buildup. Water infiltration from roof leaks can cause problems with drywall damage, soaked carpets, damaged furniture and other valuable belongings. Clogged gutters also be a cause of roofing problems. Water may overflow the back of the gutter and leak along the walls and inside of the home. 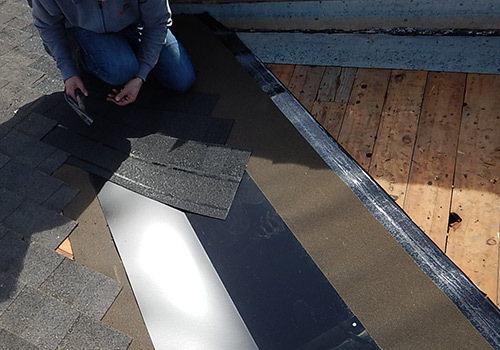 Missing shingles from wind storms will allow moisture to penetrate into the roofing system. If leaks are not addressed, the structure of your home may be weakened as the building frame continues to be exposed to dampness. 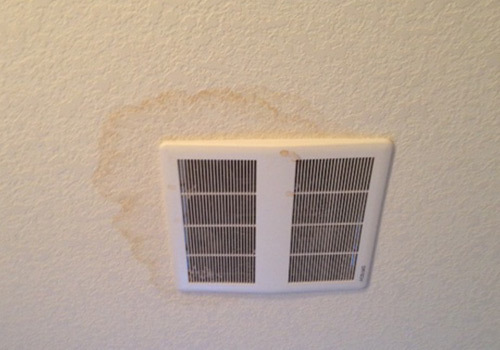 Moisture stain on drywall can show up several feet from where the leak is actually happening. Whether your roof has suffered wind damage, hail damage, ice damming, or leaks, let us inspect and determine the best solution for repairs. It’s also important that you have a company that can complete your roof repairs, so your property is protected, and you feel confident there will not be additional problems. We are seasoned professionals when it comes to Calgary roof repair and exterior problems. With our 24-hour emergency service, we can dispatch our staff to perform emergency patch and waterproofing to prevent any further damage.